Fast and efficient service, product was just what we needed. Will definately use them again when the time arises. Your service was excellent . You kept me informed every step of the purchase.Very Happy. As for the performance of the product I am sure it will be fine. It will be installed in my new bathroom in 4 weeks time. VAL0860: Square contemporary design 1/4 turn ceramic Water Isolating Angle valve with circular style escutcheon plate. 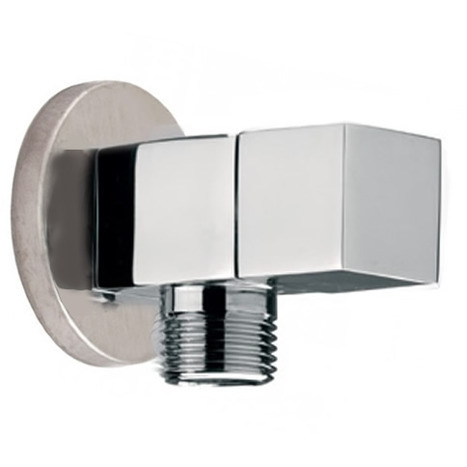 Manufactured in High grade Brass with mirror chromium plated finish. VAL0860: 1/4 Turn Ceramic Water Isolating Angle Valve. Contempory square design, manufacture in premium grade brass, finished with 8 microns of mirror finish chrome.